If you are staying in Waikiki, you really don’t need to get a rental car. Traffic and parking in Honolulu/Waikiki can be quite a challenge. (Who wants to be stuck in heavy traffic on their vacation? Not me!) You can take a shuttle bus to get to your hotel. If you’d like to do any tours, there are tons of tour companies that will arrange to pick you up at or near your Waikiki hotel. If you don’t want to do any driving you don’t have to in Waikiki, however, I do advise that you you rent a car for at least a day to drive around the island at your own pace. There are several agencies with offices in Honolulu and some hotels offer rental cars. Read a more in depth article to help you decide if you need a rental car in Waikiki Beach. If you are staying outside of Waikiki on Oahu, you would be very wise to get a rental car. Not only will a rental car help you with all the tremendous sight seeing, it may also save you money. Depending on where you are staying, you may end up saving money by renting a car for an entire week rather than getting a cab to and from your resort. Oahu has the best public transportation system in Hawaii. So, if you don’t mind adhering to a bus schedule with lots of stops, consider using TheBus. If you aren’t sure which bus to take, then you can use Google Transit to help you navigate Oahu’s bus system. The Garden Isle is best explored by a rental car. If you are staying on the North or South shore you should definitely get a rental car. If your budget is tight, you might be able to save some money by staying near the airport around Lihue. You could reduce the number of days you would need a rental car. The Kauai Marriott near Lihue offers complimentary shuttle service to and from the airport. The resort also has a rental car desk on-site which would make it convenient for renting a car for a day or two or three, rather than a week. I do advise renting a car for two days and planning one day for exploring the North shore and another day for exploring the South shore and Waimea Canyon and Kokee State Parks. I definitely advise getting a rental car for Maui. I really can’t even think of why you wouldn’t want a rental car in Maui. Most resorts are about 45 minutes or more away from the airport, so it would cost a bundle just getting a shuttle to and from your hotel. Maui has much to see that’s spread out, so definitely consider investing the money for a rental car here. Without a doubt, you should rent a car on the Big Island. This fact may come across as being surprising, but the Big Island is actually big. 🙂 My ideal itinerary, includes staying on the Hilo side of Hawaii for about three nights and then spending a leisurely day driving along the Hamakua coast over to the Kohala coast for a relaxing stay of three or more nights. You really don’t need a rental car on Lanai, particularly if you are staying at one of the two Four Seasons resorts. If you stay at one of those resorts, you pay a flat fee per person for unlimited shuttle rides. Though you won’t need a rental car for your entire stay, I do advise renting a Jeep for a day to see all the best sites that can only be accessed via 4-wheel drive. 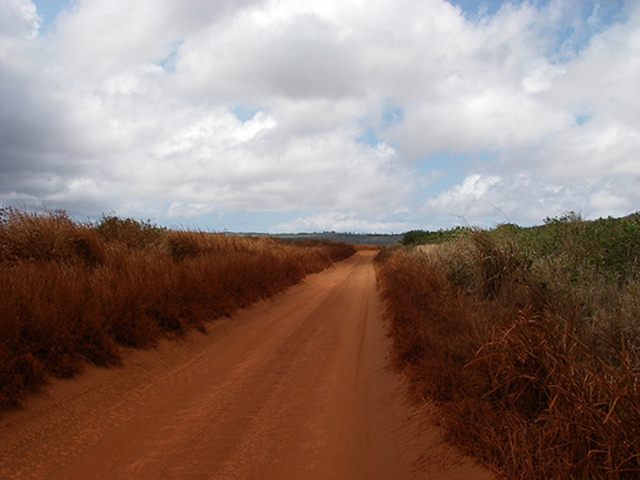 You will need a rental car to get around while staying on Molokai. This island has the least amount of tourist conveniences such as large bus packaged tours which makes it a bit adventurous and charming. The good news is that rental cars in Hawaii are relatively inexpensive on most islands. Four-wheel drives and convertibles tend to be pricier, of course. Gas in Hawaii is more expensive than on the mainland. On Molokai and Lanai, gas prices are considerably higher. For example we paid around $4.35 per gallon on Lanai when the average cost on the mainland was close to $3.00 per gallon in 2007. Hi Andrew. I appreciate your comment, especially since it reminded me that I needed to clarify that $4.35 per gallon was on Lanai. Molokai and Lanai have the highest gas prices. The other islands aren’t quite as bad. I think we paid something like $3.40 per gallon on Oahu back in June. Hi Emma – we prefer to have the freedom of a rental car, too. It’s a little more adventurous that way. When I needed to rent a car a few months ago for visiting family, I was surprised to learn that Enterprise Car rentals are 50% off for complete weekend rentals (because their offices are closed on the weekend). I called several other rental places and they were about the same regular price so Enterprise was truly half off! Cheryl – that is a good tip to know about Enterprise. Thank you for sharing it! We find it best to simply call all of the 800 numbers for the major companies and give them your appropriate discount codes. For those of you who have USAA insurance, that discount usually far exceeds the common other discounts such as government, AAA, Entertainment Book, and others. I usually make a quick Excel sheet with the company name, dates and times, discount codes, and best offer from each company, then keep the one that is lowest. For example, our rate for a full week of rental for an intermediate size car from May 21 through May 28 on Kauai is only $181.89. That’s insanely cheap. For the Big Island from May 28 through June 5, for a 4WD vehicle (which we may not end up needing and I can back it down to an intermediate or even econobox if necessary) is only $393.91 for an entire week. People always remark, “Isn’t Hawaii expensive?” when they hear we are going, but if you are smart about it, Hawaii vacations can really be surprisingly affordable. Hi Brian – thanks for sharing how you’ve found the best rates. I hear that warehouse club memberships like Cosco, BJ’s etc have some pretty good deals. So, if you have memberships to those it’s worth checking out. We used to have a BJ’s Club membership and we were able to get a good discount with Alamo, plus a second driver added to the contract for free. That was a pretty good deal. I know what you mean about the funny looks you get when you tell your friends and family that you’re going back to Hawaii. People have a perception that Hawaii is outrageously expensive. Yes, some aspects are expensive, but when you know how to find cheap, yet nice accommodations and pick up some other money saving tricks, Hawaii isn’t really an expensive destination at all. In fact, I bet if I were to look for a vacation house to rent on the coast of NC versus a vacation house to rent in Hawaii, I’d find better deals in Hawaii. We plan to take an inter island cruise for part of our visit. Are there car rental places at the ports? Can’t see spending $200/pp for the drive to Hana when we could rent a car and do it ourselves, at our own pace, for a fraction of the cost. Yes, you can either arrange for a shuttle bus or there’s a car rental spot near the ports. Hawaii Discount Car Rental makes it easy to book a rental from the ports, plus their rates are usually really good. As a matter of disclosure, Hawaii Discount Car Rental is one of our advertisers (on the right sidebar) but we don’t earn commissions or anything like that for bookings. 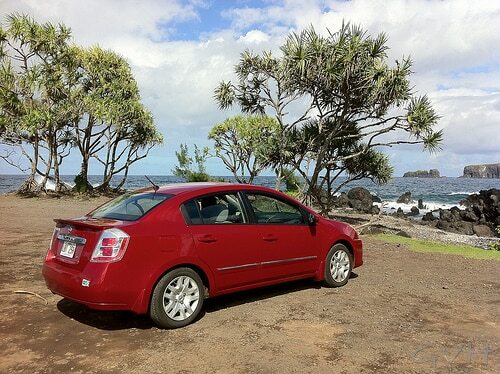 We have booked through Hawaii Discount Car Rental for our own car rentals many times over the years.